My son, Oliver, begged me for weeks to make donuts. We’ve made cookies, cakes, and even cinnamon rolls before but never donuts. Last weekend, I reluctantly agreed. 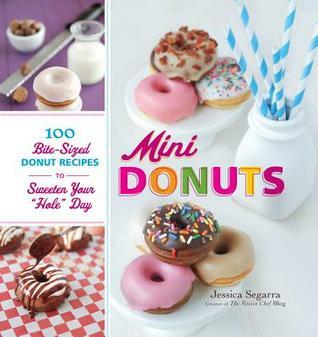 Oliver downloaded a sample of Jessica Segarra’s Mini Donuts: 100 Bite-Sized Donut Recipes to Sweeten Your “Hole” Day and went to work. Even though he’s only ten, he refused to let me help him. These donuts are so good, I couldn’t help but say “oh my God,” when I took my first bite. 1. In the bowl of your stand mixer, with the paddle attachment (or in a large bowl if you are going to knead the dough by hand), mix together warm water and yeast and let stand for 5 minutes. 3. Transfer dough to a greased bowl, and cover with a slightly damp tea towel. Place bowl in a warm area (or in an oven preheated to 200˚F and then turn off) for about 1 hour. Dough is ready when it has doubled in size. 4. Transfer raised dough to a lightly floured surface, and carefully roll out until it is ½” thick. Cut out donuts with a floured 2” biscuit cutter, and then cut out the center of each donut with a floured 1” biscuit cutter. 5. Place donuts and donut holes on a lightly floured cookie sheet, and cover again with a slightly damp tea towel. Place in a warm area (or in an oven preheated to 200˚F and then turned off) for about 1 hour. Dough is ready when it has doubled in size. 6. Heat oil in a large, deep skillet or a deep fryer to 350˚F. 7. Once oil is hot, working with 4 to 6 donuts at a time, carefully drop donuts into oil. Fry for 1-2 minutes or until golden brown; flip each donut and fry the other side. 8. Remove and drain on a plate lined with paper towel or newspaper. Continue this process until each donut has been fried. 9. Place wax paper under a wire rack to collect any drippings for any easy cleanup. Then, in a small bowl, whisk together milk and vanilla extract. Add powdered sugar, whisking until smooth. 10. While the donuts are still warm, dip the top of each donut and donut hole into the glaze, transfer to a wire rack, and let set for 5 minutes. Serve immediately; donuts can be stored in an airtight container for up to 3 days but are best served fresh. Note: Oliver didn’t like it the glaze, so we ended up dipping the warm donuts into cinnamon and sugar. We used 1 stick of melted butter, ½ cup of sugar and 1-2 teaspoons of cinnamon, dipping the donuts into the butter than the cinnamon and sugar mixture. We used a mason jar top to cut the donuts out and the tip of a piping bag (you know, the ones used for icing cakes) to make the donut holes. Weekend Cooking is a weekly foodie meme hosted by Candace over at Beth Fish Reads. Ever since I bought The Back in the Day Bakery Cookbook, I’ve been paging through it trying to figure out which recipe to try first. There are recipes such as the Pecan-Chocolate Coffee Cake, the Ham and Cheese Pastry Puff, and the classic Carrot Cake with Spiced Cream Cheese Frosting. They all look delicious but I decided to try the Cinnamon-Sugar-Doughnut Muffins. To make the muffins: Position a rack in the lower third of the oven and preheat the oven to 350◦F. Lightly spray 12 large muffin cups with vegetable oil spray. Sift together the flour, baking powder, baking soda, salt, nutmeg, and cardamom. In a medium bowl, combine the milk and buttermilk. In a large mixing bowl, using a handheld mixer on medium speed, cream the butter for 2 to 3 minutes. Turn the speed to low and gradually add the sugar. Continue to mix until the mixture lightens in color. Add the eggs one at a time, beating just until combined. Add the dry ingredients in thirds, alternating with the milk mixture, mixing just until smooth; do not overmix. With a large ice cream scoop or spoon, scoop the batter into the prepared muffin cups, filling them approximately two-thirds full. Bake for 20 to 25 minutes, until the tops are firm to the touch and lightly golden. While the muffins bake, set up two bowls to dunk them in. In one bowl you will have the melted butter, and in the other bowl you will have the cinnamon sugar. Let the doughnuts cool completely on a wire rack. Dunk them in the melted butter, and then coat them with the cinnamon sugar. The muffins can be stored in an airtight container for up to 2 days. Note: I don’t have the print version of the cookbook, just the ebook so this was my first time trying a recipe on my Nook. I found cooking using my ereader to be a little messy. There’s one thing to get sugar on a printed cookbook but it’s another to get it on an ereader. I wish I could have printed the page, (Barnes and Nobles, are you listening? ), but I will use my Nook again to make more recipes. What the cookbook didn’t tell me is that it took more than an hour to make the muffins from start to finish. I didn’t mind but if I had known, I would have made them first thing that morning. Part of the problem is I didn’t keep in mind that my muffin cups are huge! They’re twice the size of regular muffins cups. So it took about 15 minutes longer to bake. Plus, I’m not use to making things from scratch so I didn’t know that putting everything together would take so long (about 20 minutes). The muffins were moist and perfect. They were cakey and the cinnamon-sugar coating was a great touch. I made the muffins with the help of the kids and it turned out to be a nice kid-friendly recipe to try. Sorry that I don’t have any pictures to show you all. The muffins were too good to stop and take a picture of. Just imagine a muffin with tons of cinnamon and sugar! Now I can’t wait to try the cookbook’s recipe for Cinnamon-Sour Cream Coffee Cake. Weekend Cooking is a weekly meme hosted by Candace over at Beth Fish Reads. Have a food-related posted this week, why not join the fun? One of my goals for this year is to cook something with my daughter every week. She’s ten and has decided that she wants to be a chef when she’s older. So each week, we’ve been in the kitchen fixing some of our favorite meals together. 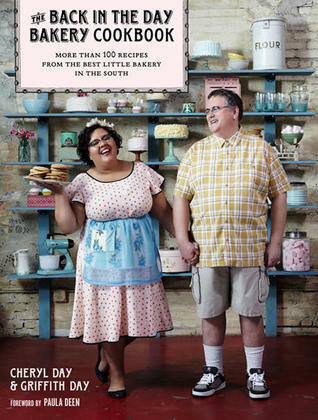 I recently found out about The Back in the Day Bakery Cookbook by Cheryl and Griffith Day. I love looking through cookbooks but I love cookbooks that focus on sweets more, so I was pretty interested. The book is expensive and my library doesn’t have a copy, so I decided to wait before I bought it. My waiting paid off because the cookbook was featured as a Nook Find just a few days ago. I hurried and bought a copy. I’ve been reading the cookbook and there are many recipes that I want to try like the Cinnamon-Sour Cream Coffee. Or maybe I’ll try the couple’s Ham and Cheese Pastry Puffs. What I really like is that in the beginning of the book, the authors explain the importance of temperature and gives readers a list of the spices used throughout the book. Readers can easily go from one recipe to the next without worrying if a certain spice is in stock. Another great thing about this cookbook is that a picture is included with each recipe. I hate trying to figure out whether or not my creation looks like it’s supposed to. Have you discovered any new cookbooks this week? Weekend Cooking is a meme hosted by Candace at Beth Fish Reads. Anyone with a food-related post can join. My kids love books about food. It doesn’t matter if it’s a cookbook or a picture book, so lately we’ve been going out of our way to find more books with kid foodies in mind. It’s been a little hard finding fiction with recipes for kids but what we’ve found so far has been pretty good. Big Brown Rooster is tired of eating chicken feed all day, every day. As the great-grandson of the famous Little Red Hen, he decides enough is enough. If the stories are right and Little Red Hen was as great a cook as people say, then he can cook too. 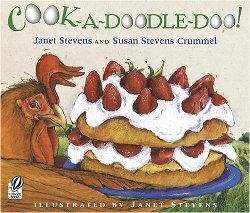 With the help of a few friends, Rooster decides to try and make his great-grandma’s strawberry shortcake. But will the shortcake turns out the way it’s supposed to? What I really like about this book is that the authors illustrate beautifully that not everything you make will turn out well but the key is to keep trying until you get it right. Kids will laugh at the animals as they try to figure out Great Grandma’s instructions while learning how to measure, sift flour, and other things. Included at the end of the picture book is the recipe the characters use. My rating: 5 out of 5 stars. If I were to describe Pizza, I would say “cute”. The book is shaped like a pizza. 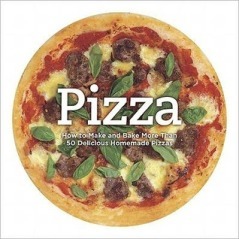 Bardi includes recipes for making pizza dough from scratch including whole-wheat and gluten-free dough. There are plenty of pictures for step-by-step instructions for the dough and for the various types of pizza the author included. As a mom with three picky eaters, there aren’t many recipes in this book that I could make and my kids would eat. These aren’t your typical pizza recipes instead there’s eggplant pizza, bell pepper pizza, and even pizza with apple and Gorgonzola. There’s nothing wrong with the recipes but this isn’t a book I can really use. I’m still recommending it for those with a more “sophisticated” palate. My rating: 3 out of 5 stars. Jacob loves watching his favorite TV chef, Chef Monty, makes his famous recipes. When Jacob decides to make a peach pie, it’s a good thing he remembers all of Monty’s rules about cooking. There are a few mistakes and setbacks but Jacob’s determined to make his pie. I thought this was a lovely book about making a goal and seeing it through until the end. 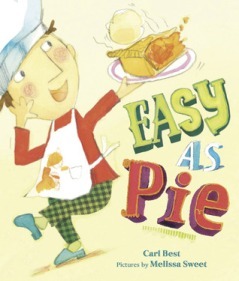 With illustrations by Melissa Sweet, (A River of Words and Carmine), Easy as Pie is a book that will leave young foodies hungry for more. My rating: 4 out of 5 stars. Have you read any of these? Are there any books you would recommend for young foodies? Today I’m combining two of my favorite memes together: Weekend Cooking and Library Loot to share a few cooking-related books that I recently checked out from the library. Both books were on the “new books” shelf at the library and I hurried to grab them just in case someone else decided to! Don’t you just love this cover! 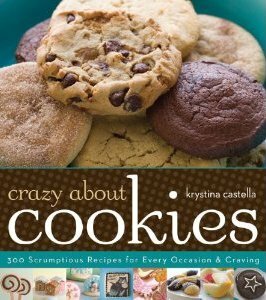 My daughter and I have been going back and forth searching through the book’s 300 recipes to figure out which cookie to make first. I’m torn between the Sugar-Free Carob Oatmeal Clusters or Old-Fashioned Peanut Butter Cookies while my daughter is thinking about Explosion Cookies which are cookies that look like comic book captions. If you ever see this book at your library or bookstore, at the very least just glance through it. The pictures are beautiful. 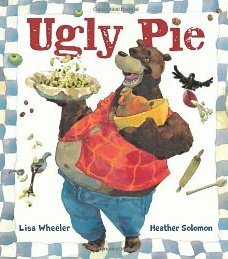 I love picture books that feature food and Ugly Pie is no exception. Ol’ Bear has a craving for ugly pie but has only one ingredient. So he goes around his neighborhood to see has anyone else made the pie that he’s craving. When he sees that his neighbor has made everything but ugly pie, Ol’ Bear knows it’s time to make it himself. It’s a really cute book. The bonus is that it includes the recipe for ugly pie which is an apple pie with red raisins and walnuts. My family doesn’t really eat pie but I’m still going to give the recipe a try. 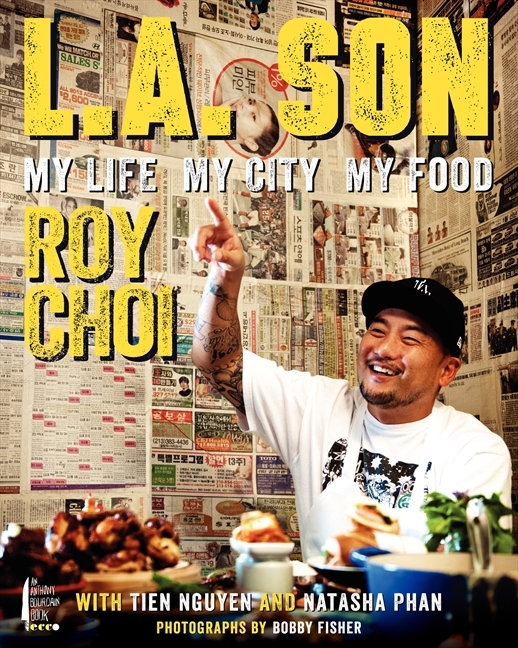 Have you read any food-related books lately? What does your library loot look like? Hosted by Candace over at Beth Fish Reads, Weekend Cooking is open to anyone who has any kind of food-related post toshare: Book (novel, nonfiction) reviews, cookbook reviews, movie reviews, recipes, random thoughts, gadgets, fabulous quotations, photographs. Life has been so busy this month with school piling on homework and all the kids getting sick. It was practically impossible for my daughter and I to try out any new recipes. Yesterday with the wind blowing and rain pounding, my mother had a craving for roasted chicken. I was happy to make it for her but I couldn’t find my recipe or remember where I got the recipe from. I decided to try out Gourmet Today’s recipe for Salt Roasted Chicken. Sprinkle chicken inside and out with sea salt and pepper. Set in a shallow dish, cover loosely with plastic wrap, and refrigerate for at least 12 hours. Put a rack in the middle of oven and preheat oven to 500◦F. Pat chicken dry. Rub skin with butter and put lemon slices in cavity. Place chicken in a small roasting pan, transfer to oven, and reduce oven temp to 425◦F. Roast chicken, basting occasionally with pan juices, until thermometer inserted 2 inches into fleshy part of thigh registers 170◦F, about 50 minutes. Let chicken stand for 15 minutes before carving. *Because I didn’t have much time before I had to cook the chicken, I only brined it for a few hours instead of twelve. Next time I would do it for the full twelve hours because the chicken didn’t have much flavor but it still came out almost perfect. The skin was crisp and the meat was juicy. 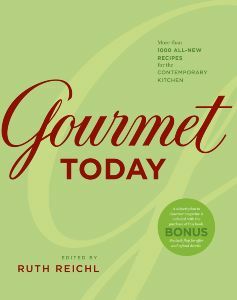 I can’t wait to try more recipes from Gourmet Today. 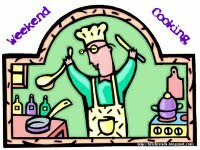 Weekend Cooking is open to anyone who has any kind of food-related post to share: Book (novel, nonfiction) reviews, cookbook reviews, movie reviews, recipes, random thoughts, gadgets, fabulous quotations, photographs. If your post is even vaguely foodie, feel free to grab the button and link up anytime over the weekend. Please link to your specific post, not your blog’s home page. For more information, see the welcome post. Every year my daughter decides she wants to try a new hobby. When she was seven, she wanted to become a fashion designer. So I bought her fabric, needle and thread, and plenty of books. For most of the year she made clothes for her dolls, drew outfits for hours in her sketchbook, and put on fashion shows. When she was eight, she decided to that she was tired of designing clothes and wanted to become a scientist. So once again I bought books about different areas of science, gave her my old biology textbooks, and searched for science-y things online. The whole family participated in the various experiments she tried. I call my daughter’s interests expensive. Her fourth-grade teacher calls them part of my daughter’s schema. Now that Pip (pronounced Pipe), is nine, cooking is her newest interest. For the past six months or so, we’ve checked out dozens of cookbooks from the library, coping some of our favorite recipes. We’re making our own personal cookbook and one of the things we’re doing is cooking one new recipe every week. Some weeks have been better than others. With most of the family suffering from colds, we haven’t been cooking much. 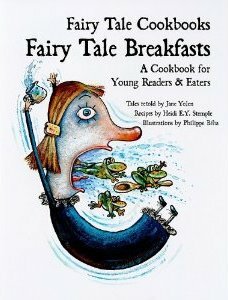 I wanted to share with you all, one of the books we’ve checked out a few weeks ago: Jane Yolen’s Fairy Tale Breakfast. The book is the perfect combination of fairy tales and recipes. It contains four fairy tales such as “The Runaway Pancake” and “The Magic Pot of Porridge”, followed by a recipe that relates to the story. Each story is entertaining and each recipe is simple enough for a young child to understand and try with an adult’s help. We haven’t tried the recipes in the book yet but the fairy tales have kept us entertained enough that I would definitely recommend this book.